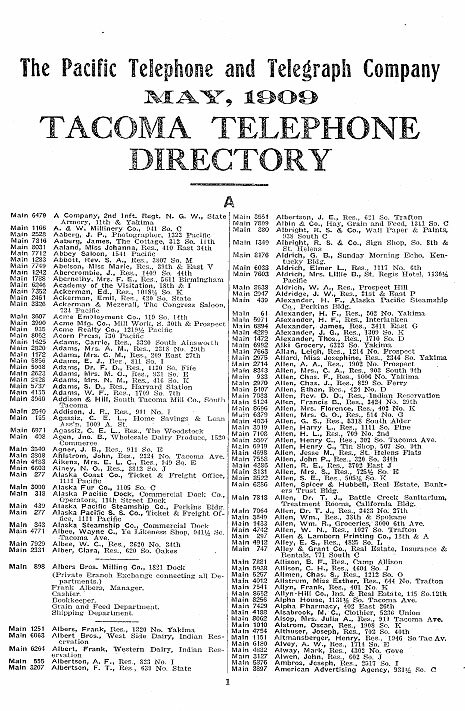 Shown here is the telephone directory for Tacoma, WA in 1909, showing listings for Chester Thorne's downtown Tacoma residence (not his “Country Home", i.e. Thornewood Castle) and his bank (National Bank of Commerce). Original Phone Book courtesy of Robert Gilliam.